relative changes in the investor returns and the value of the property. The base case, worst case and the best case scenarios have been created using the assumptions provided in the case. Since the high and low levels for each assumption variable have been provided therefore, these two have been used as the assumptions for the worst case and best case scenarios. The average of these two rates is used for the base case scenario. The LTV for the base case is assumed to be 75%, 65% for worst and 85% for best case scenarios. The results of the analysis showed that the property would yield BTIRR and ATIRR of 10.73% and 6.41% respectively, for the base case scenario. The worst case scenario showed even worse conditions. 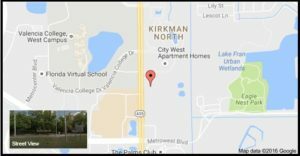 The best case scenario showed that the property is favorable. However, given the huge sensitivities involved, this is a risky market and investment should not be made in this property. 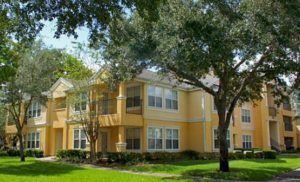 Much has happened in the Apartment world since December of 2014 and the metros among the apartments in Florida have achieved the highest rental growth. The job market is also growing significantly. The Bay area department markets of Florida have held around three of the top four spots on the list of Axiometrics for achieving the highest annual rental growth based on the number of the units among the top 50 metros in the area. Along with this, the South Florida metros such as West Palm Beach, Fort Lauderdale and Miami have held three positions among the top 13. The tourism industry is also picking up in Florida during the past two years and also due to the improvement in the economy. 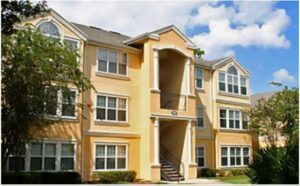 The occupancy rates in Orlando and Miami have been highest in the region and the South Florida has been seen as a strong apartment market. The Tampa and Orlando metros have achieved growth rates of around 5% to 7% in 2016, however, the only metro which has achieved a double digit growth rate is the Sacramento metro. But the South Florida rental market is back in action and the rental would see a strong growth over the next few months. The speed of new construction is continuing to accelerate in Florida especially in the Suburb locations such as Broward County. This is because of the deepening of the pool of the renters and the rapid growth of the population. New employment opportunities are also being created and the demand for the home ownership is declining. Competition would be from medium to high. This is because it has been projected by the national real estate brokerage Marcus and Millichap that around 10,200 new apartments would come to the market as compared to only 8700 in the year 2015. This is a huge increase of around 17%. However, still the South Florida market forecasts based on the Real Capital Analytics and the Costar Group analysis show that the apartment owners in this region would cover higher average rents than their counterparts in Miami-Dade this year. The average rental in the region is between $1300 and $2300 per month. The median income in the area has been around $61,900, which could be considered as favorable if we compare it with the monthly rental rates of the commercial apartment. The apartment has been completed with all the furnishing last year worth $600,000 and it also included the exterior paint and landscaping. This is not an old apartment complex and it offers all the modern day amenities which are provided in the modern apartment complexes. However, the size of the property is small therefore, the large real estate investment firms do not seem to be interested in purchasing this kind of a property and thus, the smaller local investors are more interested in this 100 unit property. On an average this property is stabilized at an occupancy rate of more than 94%. Moreover, the upside in rents and the growth of the population in this region of Florida both make this property highly profitable. Finally, this property could also be converted into Condos in future years if the commercial market heats up. 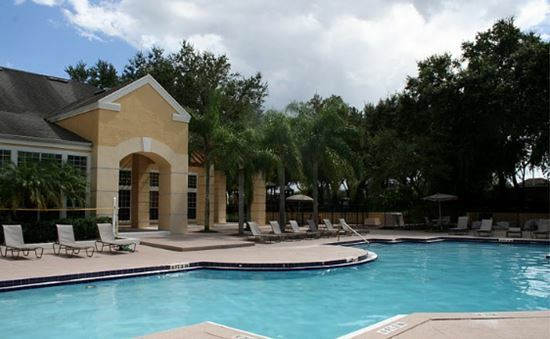 If we look at the average of the rent comparable figures in the above table, then we can see that our Florida Garden Apartment would compete well with all of the direct competitors based on the cap rates and the occupancy rates. Moreover, the unit size is also bigger for our property. The listing price of the property is not mentioned in the case however, it seems that the price of the property would be higher than the identified sales comparables. All of the properties are comparable to our property in terms of the location and quality. However, the most comparable is the last or the fourth property, which had 100 units and was sold for $8.2 million. The information and all the assumptions about the real estate market variables such as capitalization rates, occupancy rates, expense growth, rent growth and the vacancy rates have been provided in the property scenario. The key assumptions which were used in this report included a range of different variables such as vacancy, credit loss, management fees, rent growth, expense growth, exit cap rate, initial cap rate and LTV which is the leverage. Vacancy & Credit Loss: The vacancy and credit loss rates have been provided for the best and worst case scenarios, which are 7.5% and 5% respectively. An average rate of 6.25% has been used for the base case scenario. Rent Growth: The rents have fluctuated between 1% and 6% for the last few years. Therefore, 1% is used for worst case scenario, 6% for best case and an average rate of 3.5% has been used for the base case scenario. Expense Growth: The expenses have been growing between 2% and 5% therefore, 2% has been used for best case, 5% for worst case and an average of 3.5% has been used for the base case scenario. Interest Rate:The market rate for permanent mortgages at the market for this type of project is with a range of 4% to 4.75% with a maximum 30-year term. 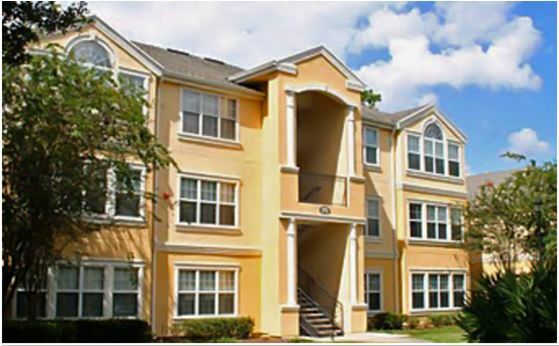 It is not difficultto place this type of permanent loan even though the size of the complex is small. Therefore, 4% has been used for best case, 4.75% for worst case and average of 4.38% for the base case scenario. Selling Costs:The typical fees associated with property sales in the market are between 2.5% and 5.0% of the sales price including the disposition fee you firm charges. 2.5% is used for best case, 5% for worst case and average of 3.25% for base case. Leverage: The LTV of 75% has been used for the base case scenario however, for the worst and best cases, we have used 65% and 85% LTV ratios. Reserves: The rents have fluctuated between $100 and $225 for the last few years. Therefore, $225 is used for worst case scenario, $100 for best case and an average of $163 has been used for the base case scenario. Going in Cap Rate: The high and low cap rates from historical figures are provided in the case, therefore, 7.5%% is used for worst case scenario, 6% for best case and an average rate of 6.75% has been used for the base case scenario. Exit Cap Rate: A single exit cap rate of 8.5% has been provided which has been used in the base case. For the worst and the best case we have increased and decreased this exit cap by 0.5% respectively. Hurdle Rates: The BT required returns and AT required return have assumed on the basis of prospective returns and alternative investments. These rates are 15% and 12% respectively. Three key scenarios have been considered to perform a sensitivity analysis for the proposed property. These three scenarios are the base case, worst case and the best case scenarios. The assumptions have been used as stated above for each of these three key scenarios. The sensitivity of ATIRR, BTIRR, ATNPV and BTNPV would provide insights regarding the riskiness and the real value of the property. The base case IRRs before and after tax for the proposed property are 10.73% and 6.41% however, they do not achieve the target hurdle rates and thus, the value of the property is not good as it is based on the realistic market conditions. 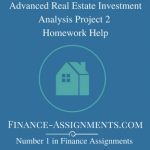 Based on this scenario, it is not recommended to purchase this property because not only the required returns are low, but the price for the property is also lower as compared to the other historical properties which have been sold. The best case scenario shows the BTIRR and ATIRR rates of around 34.83% and 26.23% and these are also based on the realistic assumptions of the market variables. The price of the property according to this scenario is $3.37 million before tax and $2.37 million after tax, which is still lower than the historical comparable sales. Finally, the worst case scenario shows the negative values for the IRR before tax and the before tax value of the property. The after tax IRR is 22.14% and NPV after tax is $0.057 million. 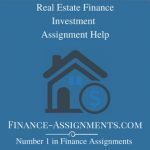 This indicates that even on nominal dollar terms all of the equity has not been returned, thus, under the worst case assumptions, the property should not be purchased which is quite obvious. 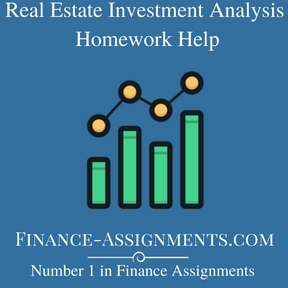 Therefore, based upon the overall investment and looking at the sensitivity analysis performed for the property assumptions, this property is a high risk property and does not achieve the target rates of return. Based upon the best case scenario, the property should be purchased for a final price of $2.372 million after tax. The best case scenario is also probable and thus, it shows realistic value of the property, however if we consider the base case and the worst case scenarios, then we see that the risk in this property is high. The investors might not be able to achieve their target BTIRR and ATIRR of 15% and 12% respectively. If any of the assumptions change in the market, then the investment could generate a loss for the investor. It is important to note that the base case scenario itself could not achieve the target rates of return, which shows that this property is a high risk property and that the investor should not invest in this property.